We created a mobile application for iOS and Android platform with several key features that let the users log their daily activities with connecting external devices. 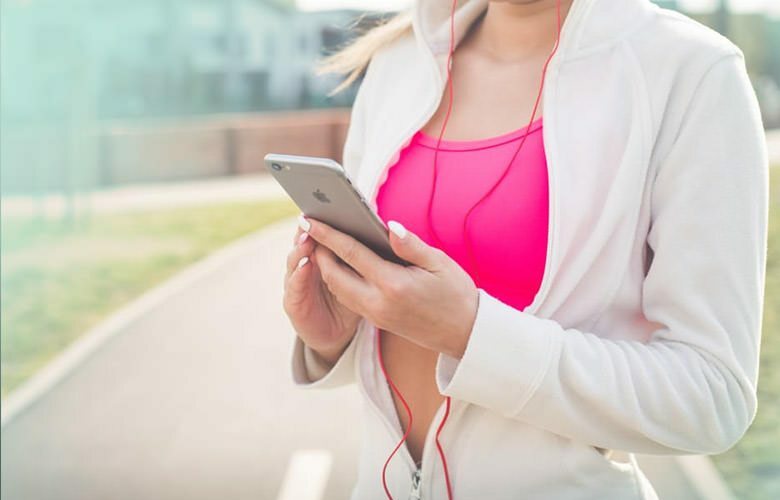 With this Fitness App Solution, the user can capture any kind of activity data in a single place and view the reports or daily logged history directly from the application with few clicks. This was a new business venture expecting to provide a solution to the user that could help them monitor daily routines such as daily food intake to daily sleep time. Furthermore, the application can help the users relate their general health and lifestyle pattern to their fitness. The application comes with a history logging system to provide the user long term fitness reports. 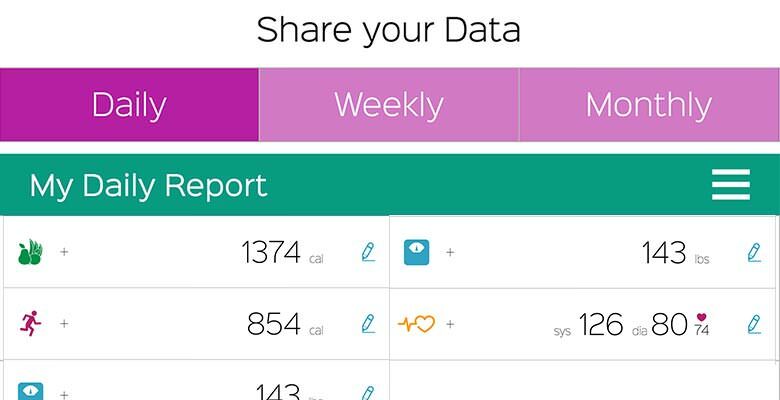 The target audience are general users who are interested in monitoring their health. We created a mobile application for iOS and Android platform with several key features that let the users log their daily activities with connecting external devices. 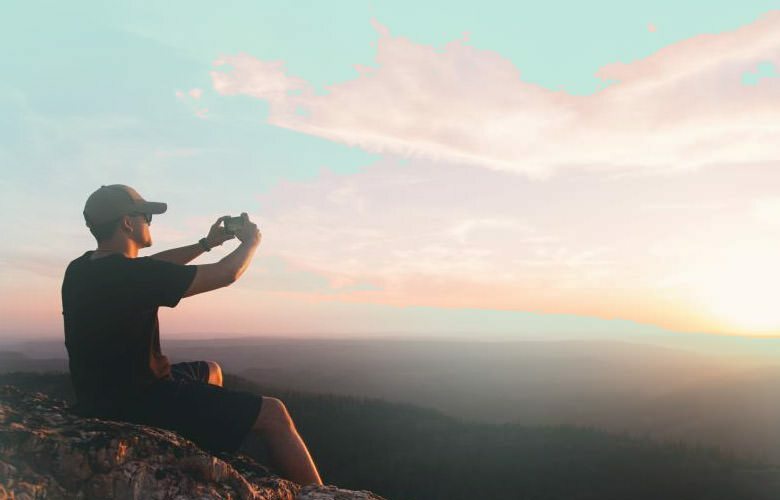 With this solution, the user can capture any kind of activity data in a single place and view the reports or daily logged history directly from the application with few clicks. User can create their account on this application with few simple steps and login to get access to a range of features. After registration user can add multiple family members as different sub users of the system. By doing so all the sub users’ logs get recorded separately. The user can view the details of the current chosen profile whenever needed. The user can also make changes by using the option ‘Edit’ as and when needed. The Home/Dashboard mainly displays the selected user’s day-wise logged information. The user can change the date to view a particular day’s information such as Calorie intake, Calories burnt, Weight, Blood pressure, Sleep, Water intake measurements and much more that are shown along with graphs. The graphs help users to observe their daily goal and actual logged amount. Dashboard lets the user to get a shortcut to register the amount for any one of the above given category. 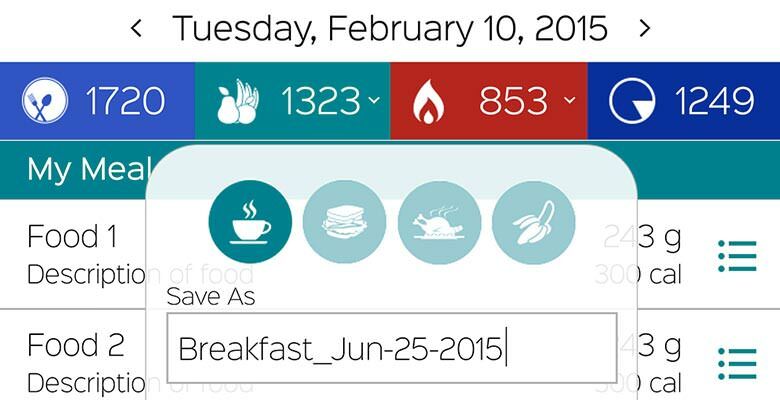 Food Log Dashboard:Here user can view logged food items along with respective calories for each date. The food items are segregated in accordance to meal categories like Lunch, Breakfast etc. User can Edit/Delete any particular logged item as well as add new item on any date. To add any new item user has to search through the nutrition segment. The chosen food item gets added along with its nutrition values. The user can also search for food items using barcode scanner. User can mark any food item or meal category (Lunch, Breakfast etc.) as favorite. Blood Pressure Dashboard: Here user can log his/her blood pressure and an automated graph representing the current blood pressure vs ideal measure in Daily/Weekly/Monthly view will be displayed. If blood pressure monitoring (External device) is connected, user can measure and log directly from that device. The application also displays the heartbeat rate. Furthermore a risk factor scale representing the current risk factor based upon the current recorded measures is also shown. A list view shows time-wise entries of the user’s pressure for any specific date. The data can be edited or deleted. Activity Dashboard:Here user’s activities like Run, Walk, Skipping, Running, etc. can be logged and be shown date-wise. 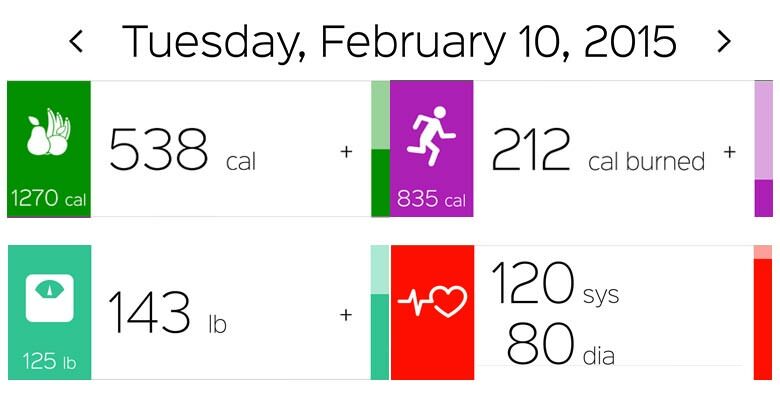 The calorie burnt will be stored for each activity. User can use pedometer (External device) to log his Walk and Run activity details apart from entering data manually. These logs can also be edited or deleted. Weight Dashboard:Here user can log his/her weight and a graph representing the current weight vs goal in Daily/Weekly/Monthly view will be automatically displayed. If weight scale (External device) is connected, user can measure and log directly from the device. A list view shows time-wise entries of the user’s weight for any specific date. The data can be edited or deleted. Sleep Dashboard:This will list log of sleeping hours date-wise. User can log sleeping hours for any day and can edit or delete any recorded measurement. Water Dashboard: This will list log of water intake date-wise. User can log water intake for any day and can edit or delete any recorded measurement. This section displays reports for the Food Log, Activity Log, Weight Measure, Blood Pressure Measure, Sleeping time Measure and Water Intake in Daily/Weekly/Monthly view. These reports can be shared on the social media platforms. Also notes can be added to any particular report. 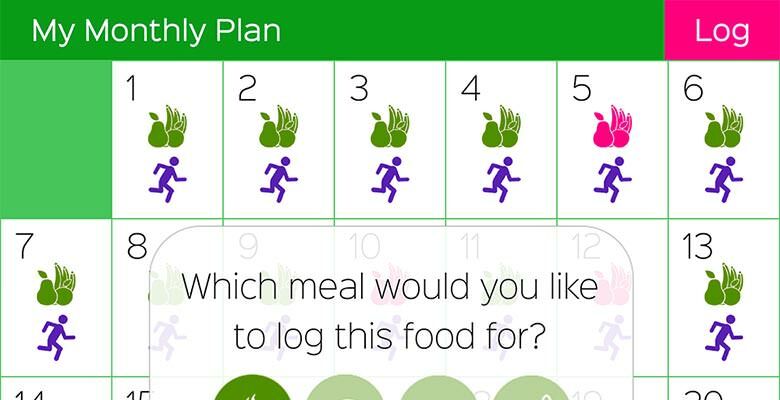 Here user can plan their Meals or Activities for the coming days based on Daily/Weekly/Monthly view. Based on the entered plans user get notified on the specific date and time. The application was successfully launched after 18 months of development. Dreamztech’s dedicated team has developed a comprehensive solution to fulfill the needs of the user. Loaded with robust features, the app has made it easier for people to monitor their daily activity for ensuring better health. We have a developed B2C & B2B online travel solution. This B2C/B2B platform for users/agents helps users to search, design travel plan and manage their bookings as per their preferences.